What is a "graphic novel"? Most of my fellow teachers of literature know that students often think of almost any book-length narrative work as a "novel." A paper might begin, "Augustine writes in his novel The Confessions …" or "Homer's Iliad is a novel that …." This is not a major intellectual failing, of course, but it should remind us of the extent to which the novel has become so dominant a genre that common readers think of it simply as narrative, or lengthy narrative, itself. It should also be a reminder to teachers that time devoted to explaining the history and uses of literary genre is time well spent. This particular inexactitude happens in non-academic settings too, and indeed a new version of it has recently arisen. Stephen Weiner's Faster Than a Speeding Bullet: The Rise of the Graphic Novel refers to Art Spiegelmann's Maus—an account of the author's father's experience in Auschwitz—as a graphic novel. 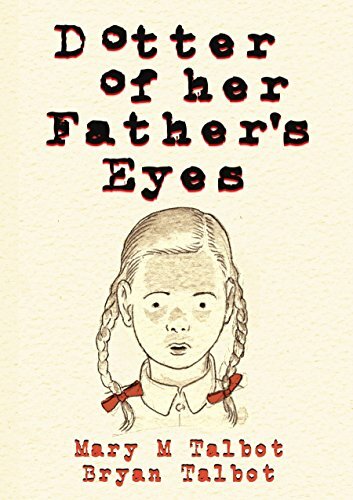 Similarly, we might consider Dotter of Her Father's Eyes, a recent book by Mary M. Talbot and Bryan Talbot. On Amazon.com you may find it in the "Graphic Novel" category; its Wikipedia page, at least as I write, begins "Dotter of Her Father's Eyes is a 2012 graphic novel"—but then goes on to add, in the next sentence, "It is part memoir, and part biography of Lucia Joyce, daughter of modernist writer James Joyce." That the second sentence is not seen to contradict the first one reminds us once more how the word "novel" is commonly used; but it also reveals the limitations of our descriptive and critical vocabulary for this new form. The genres of graphic narrative proliferate beyond our ability to account for them.